Settings: Formula 10, Render 8, Color 13-1 modified, Transform Arctan. 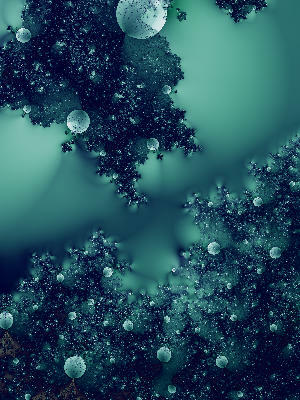 When I see images like this it makes me think that Fractals are going to be everywhere soon. They're as captivating as any artsy poster I've seen. If Sterlingware was a painter, he would be famous by now, living in a mansion and spending his days floating in a swimming pool autographing limited edition prints.